A gun safe is arguably an even more important choice than the gun that goes in it. You need it to provide safety and also ease of use, so you can access your gun if you need to at quick notice. The safety precautions you take with your gun can be a matter of life and death, so you need to ensure you are making the right call when purchasing. To do that, you can’t just buy the first safe you see, and you will need to give some level of consideration to your purchase. 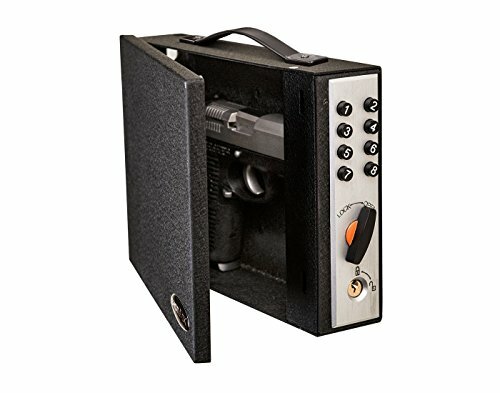 This is why gunsafeguy.org offers more than just ‘best of’ guides and top gun safe lists, you will also find in-depth reviews of individual models of gun safe, where I take a detailed look at their features and also their build quality and functionality. As well as this, the size and type of gun safe must be considered, whether it is portable, whether it fits the space in your home and other factors. 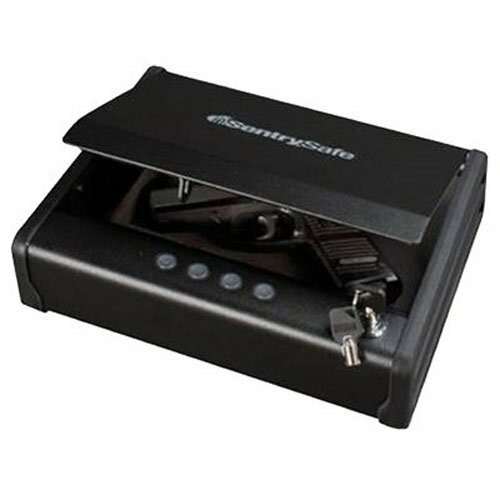 This gun safe is probably one of the most sought-after compact gun safe that you can find. The ShotLock 200M is ideal if you are looking for a gun safe that can store one handgun/pistol along with ammunition and smaller items. Thanks to its simple design concept, the ShotLock 200M provides secure and quick access any time you need. Now you can store your weapons and other valuable items safely in a portable gun safe without having to worry about your family´s safety. 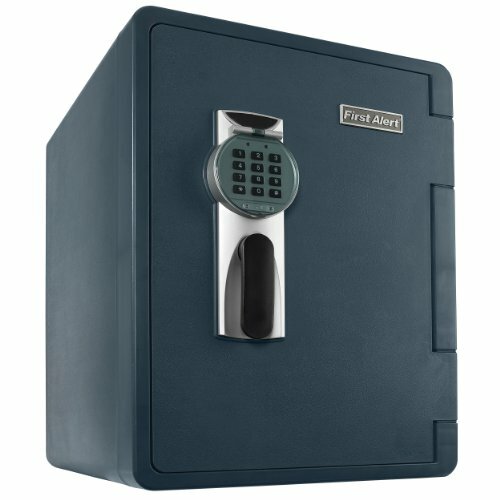 This safe comes with highly-advanced lock mechanism that features a programmable, 8-button mechanical system that allows you to pick over 1500, four-digit combinations for maximum security. In summary, if you decide to purchase this durable gun safe from the AdirOffice stable, then you can rest assured that it provides top-notch security solution for your office, home or travel. Thanks to its one-of-a-kind design, you can enjoy hassle-free portability and long-lasting durability. 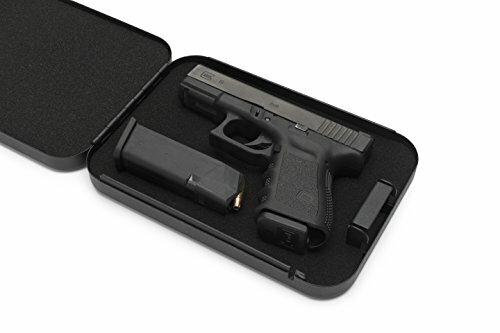 This unit features a unique dual-lock system that ensures that you can safely store your smaller firearms safely inside this safe. This AdirOffice gun safe is thoroughly tested and it will give any burglar a major headache to open, thanks to its massive steel construction. 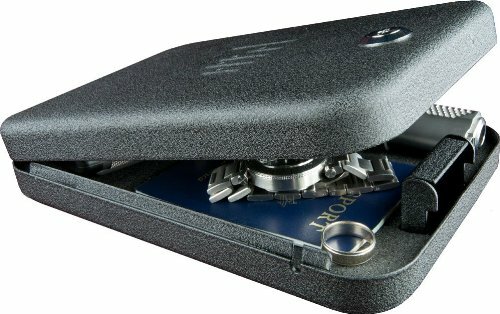 This is the overall storage solution if you need a safe that you can take with you on the go or travelling. It is extremely important that you choose the gun safe that fits, not only your personal requirements, but also it must fit your personal preferences as well. Therefore, there are few factors that you need to consider before you invest in a gun safe. 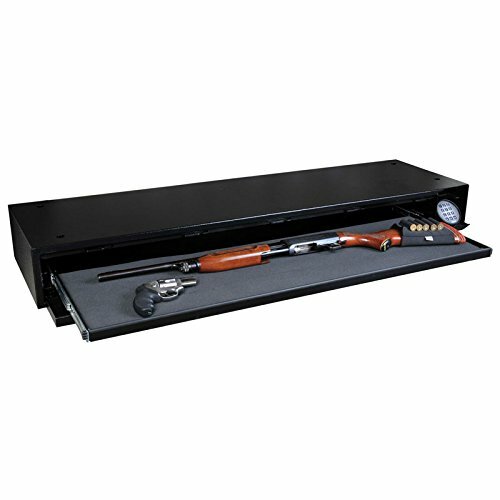 Keeping that in mind, the Sports Afield gun safe is something that you should seriously consider for your home or office. 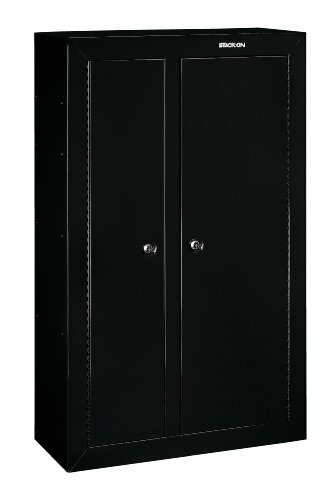 Here we have a durable and solid gun safe that was built to safely store your weapons and valuables. This is not the cheapest option on the market but it is one of the sturdiest and most secure solutions that you can find for your guns. 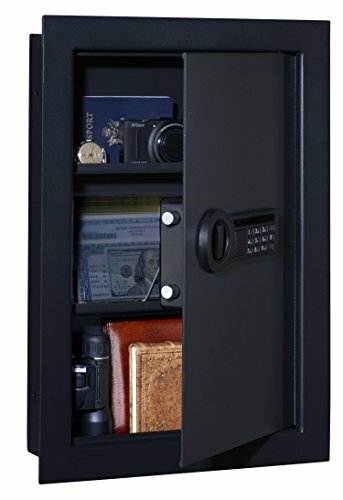 The Stack-On PWS 15522 is a fantastic gun safe that comes with a sophisticated electronic lock system, with a digital key-pad and live action bolts to ensure that your stuff is securely stored at all times. The electronic lock mechanism is fully customizable where you will be able to program and set your own password for an easy access. Additionally, it comes with a key in case you forget the password combination. 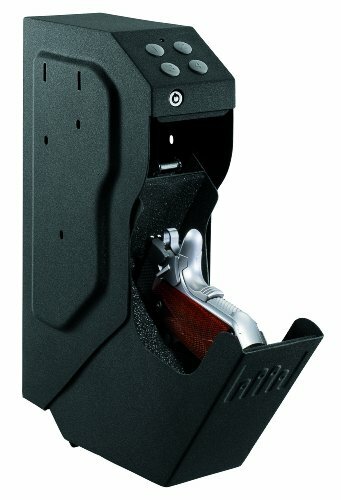 Have in mind that this gun safes requires two AA batteries to operate flawlessly. Therefore, it is recommend that you change the batteries at least every 2-3 months so that you can be sure to never run out of batteries. Although not entirely waterproof, this well-built and easy-to-install gun safe provides finest quality and it is very reasonably priced as well. 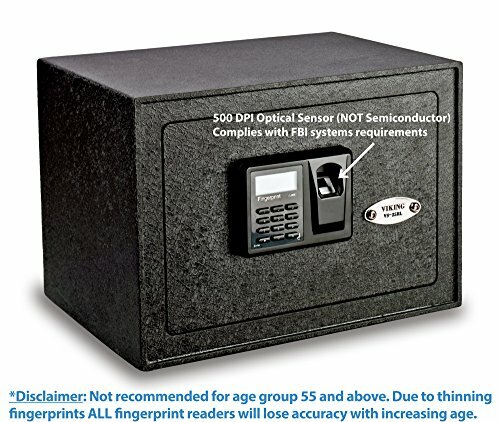 The AMSWFB-845 is among the top picks for gun safes among those who take security very seriously. It comes with extremely durable locking bolts that ensures that anybody that tries to break into or walk away with the safe is going to have hard time. Apart from that, there is a gear-drive system that is built to boost its security even more. Overall, this is a fantastic option if you need a gun safe to store your large guns and you can be sure that quality is never sacrificed for priced. With its simple USB interface, the Verifi S6000 provide you with a sturdy and stylish design. 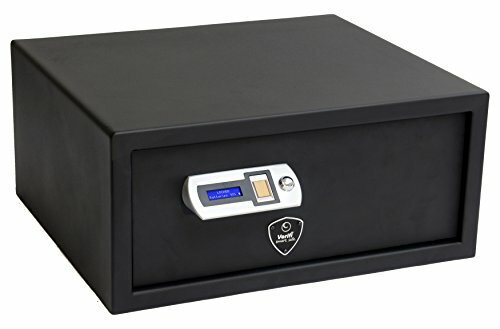 This is one of the finest quality gun safe from the Verify stable and equipped with the innovative Zvetco biometrics you can rest assured that you stuff is safely store inside a gun safe that is close to impossible to break-into. Additionally, the state-of-the-art fingerprint system ensures that only those who are authorized access can open the safe. Additionally, automatic door locking along with a tamper alert are highly appreciated features according to current owners. Apart from that, it even comes with a LED illumination so that you can clearly see what is stored inside the safe. 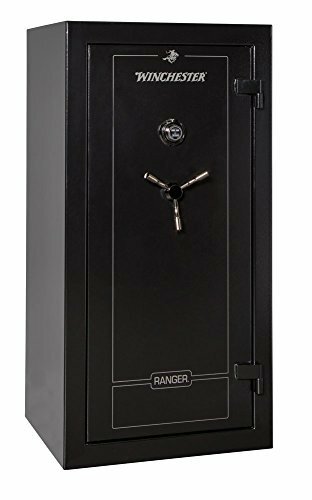 This unit is a strongly-built gun safe that comes with a 5mm durable steel door that features 2 extremely durable pry-resistant slots along with dead-bolt lock to ensure top-notch safety to your weapons and other valuable items. Additionally, it comes with a digital keypad and you can store 32 unique fingerprints along with one PIN code. Additionally, the keypad mechanism is built to give you an alert if the door stays open. 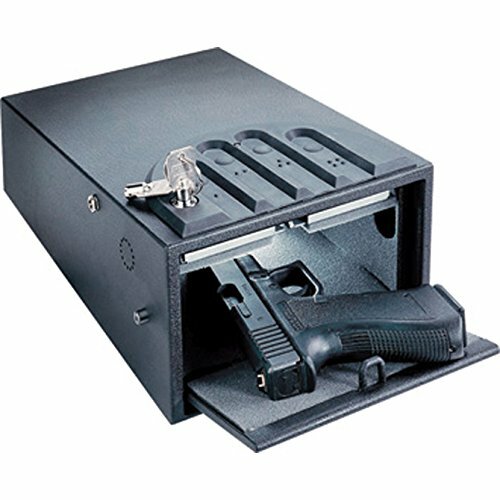 Viking Security take safety extremely seriously and their main focus is to provide quality and sturdy gun safes that fit any budget. Along with a industry leading customer-service, you will also enjoy a lengthy warranty that makes this a risk-free purchase. Here is another fantastic solution for those who are looking for a high-quality gun safe that was built with strength and quality in mind. There is a digital keypad on the safe that provides quick access once the correct pass code is entered. With close to 11.3 million pass codes to choose, you will have no problem picking 4 easy-to-remember digit combination to access the safe. One of its unique design is its tamper-mode that allows you to check if there was any attempt to break in or wrong digit combination dialed. A part from the digital access, there are also 2 back-up keys so you will always have access to your stuff even though you forget the four-number access code. I have done my best to provide you with information on everything that you must know about gun safes. Therefore, since I know the importance of the product, I can safely conclude that my reviews are extremely rigorous. I have used all the information I could get my hands on as well as first hand experience to provide an analysis of some of the top models out there. The vast majority of the products you see here on the site are those which are best sellers in the world of gun safes and are therefore items I’m happy to recommend. What is best for someone who travels with a gun a lot and someone who only ever keeps it at home might be different, and my reviews are also great for those wondering if the features of a specific safe suit their lifestyle. The detail, analysis and pros and cons I’ve provided should help you to ensure you make the correct choice.